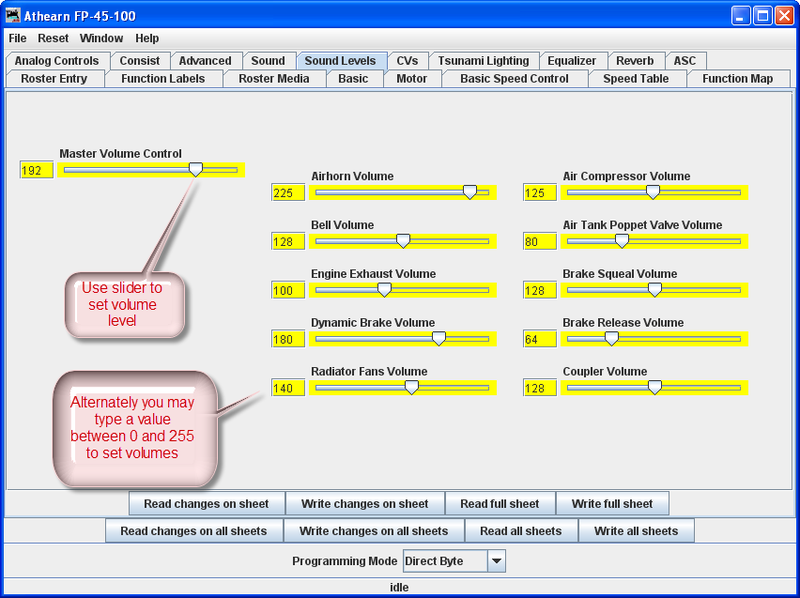 Here are the controls for the relative volume levels and timing nuances of the sound decoder. Again, this is an example of one implementation. See your decoder documentation and the specific decoder programmer for details applicable to your equipment. Above all, don't be afraid to play with these settings and those in the Sound pane until you get sound you like. It's much easier to do here than it is to try to program these using a throttle! And even easier, if you are using the Ops Mode option to program the unit when it's running on the track. If you "write changes" after doing your selection change, you'll get instant feedback of how the sound has changed.